Berthe Morisot | Sleep Late Tomorrow! When a painter starts out with a recommendation like that, especially when the likes of Monet, Manet, Degas and Renoir are still alive, you have to stop and take notice. Photography has rendered traditional painting obsolete – I have read, thought and written this many times, and only one man has made me reconsider. 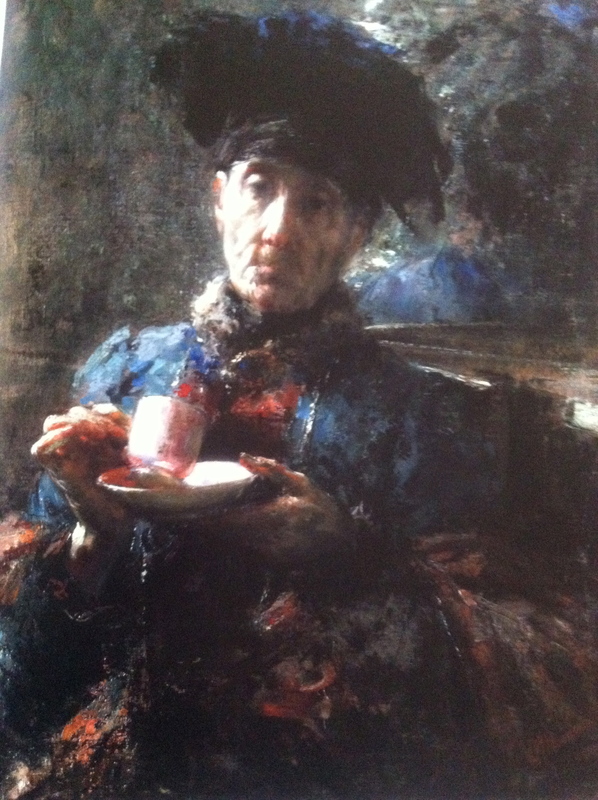 Antonio Mancini – one of the greatest, yet lesser-known masters of the Italian prelude to Impressionism- “Verismo”. The word “Verismo” literally means “truth”. Mancini is the living soul of this word. In an age where verisimilitude was the mantra, he portrayed pure truth at any cost. 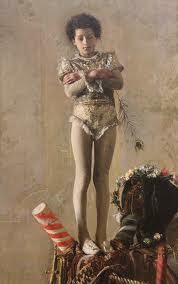 Born in Rome in 1852, he largely grew up in Naples. 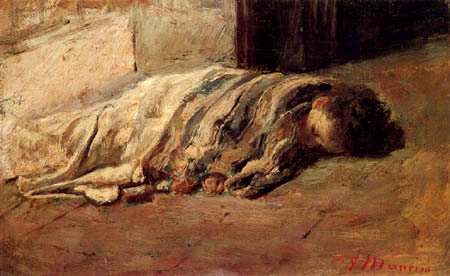 The impoverished streets of Naples were the most poignant themes in most of his work through the years. I made my acquaintance with Mancini on one of my many visits to the “Art institute of Chicago”. In addition to having a very unique history of its own, the institute also houses some of the most extensive and significant pieces of art. In contrast to the MET (Metropolitan Museum of Art, New York) or The Louvre, The Art Institute of Chicago, is intimate and welcoming. Its size belies its depth, and leaves you with the comforting feeling that you might actually relate to a few pieces. On one such visit, I made my acquaintance with Signore Mancini. 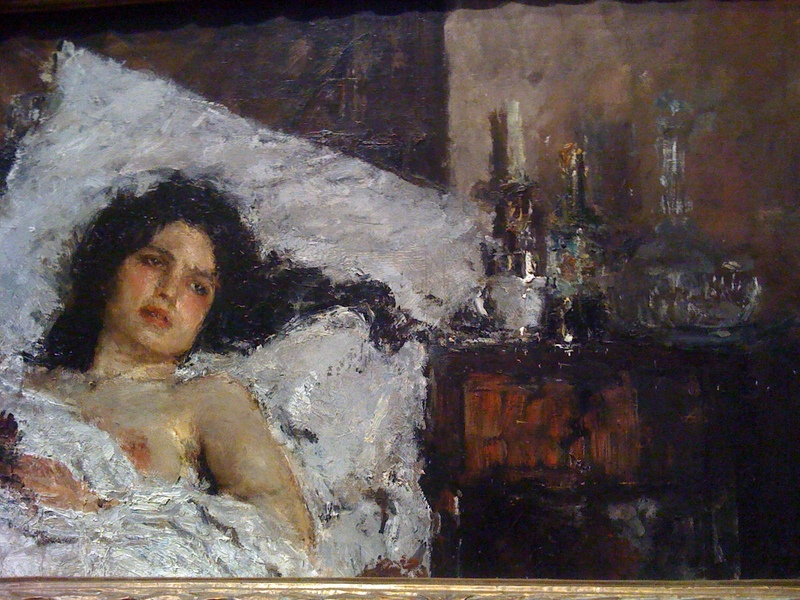 As I passed through the impressionist collection feasting my eyes on my usual favorites, Berthe Morisot’s “Woman at her Toilette”, “Still Life with Fish” by Manet, and the “Two Sisters” by Renoir, I was stopped in my tracks by a piece like none I had seen ever before – “Resting” by Antonio Mancini. The painting has an ethereal quality to it, despite the subject being so banal. The interpretation of the painting is left to the imagination of the observer. To me, it speaks of a woman, who holds silent and unfulfilled dreams within her. Her demeanor almost magnetically beseeches you to help. The brushwork seems to make the scene seem like wisps of smoke, giving the feeling that the woman’s soul is drifting away from the scene, with her thoughts- perhaps a catharsis of her emotions. The dark palette, yet the beautiful study of light, also speaks to me of the artist’s frame of mind. This piece is my personal favorite. 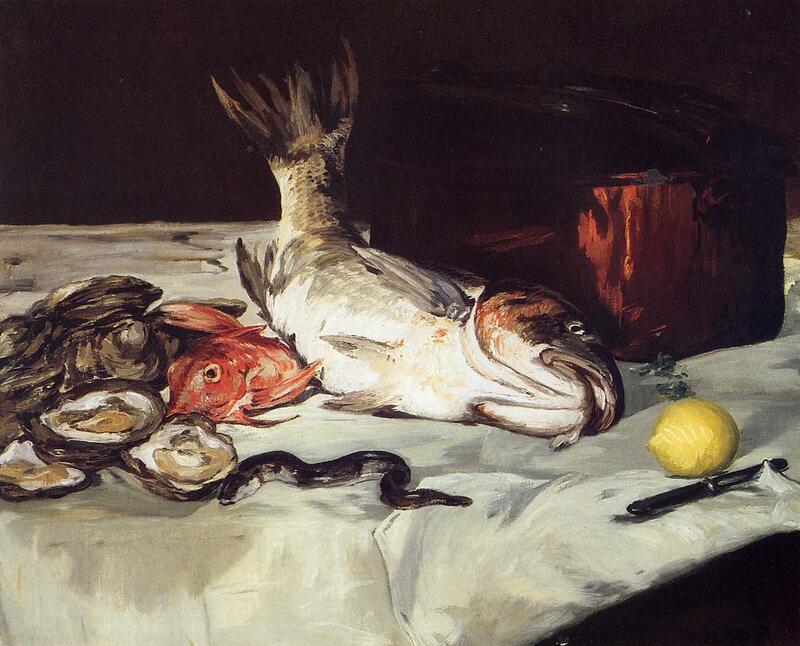 He often used an aid in painting called the “Graticola” which in Italian means grating. The Graticola was simply a wooden frame with threads running across it, assisting him in the compartmentalization of various parts of his subjects, and you can often see the string marks of the graticola in his paintings. 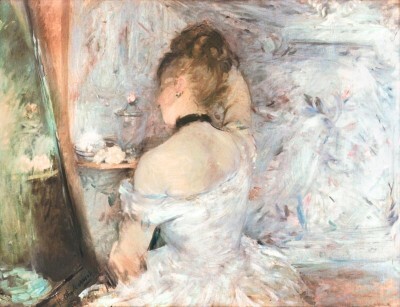 During his lifetime, Mancini made his acquaintance with the likes of Degas and Manet, yet never quite achieved the kind of professional success or public popularity they did. As described beautifully by Heisinger in his biography of the artist, to him, the act of painting was an urgent passion rather than a manageable profession. He was by all accounts, a timid man, quite uncomfortable around riches and affluence, and often plagued by memories of his own impoverished background. Indeed, he goes on to admit in later life, that many of his portraits such as the “Sleeping Boy” were in fact a subconscious reflection of himself. Mancini also suffered a debilitating mental illness at the age of 29 presumably due to mercury poisoning, and affected a lot of the themes of his work during the time. He destroyed much of his work during this time by painting over multiple canvases. 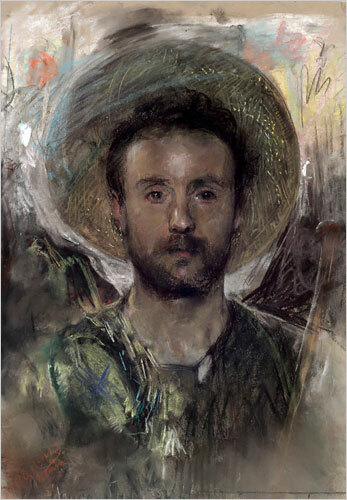 In my travels, I have not yet been able to pass through Philadelphia or Turin, where most of Mancini’s works reside. Yet, his brilliance continues to stay with me. He has captured my attention with his naked portrayal of truth, proving that photography can never truly replace painting, because no matter how unique the angle and how realistic the capturing, what painting conveys, is a mixture of emotions. A work of art is not just about the subject, but the artist himself. Whether you wish to convey joy, anguish, sorrow, pride or elation, the feeling of the subject intertwines with the emotion of the artist, bringing the work of art to a soaring and deafening crescendo of emotion. It is sometimes, fascinating to think about what it would be like to go back in time to around the 1800s in Italy, surrounded by olive trees and the age of enlightenment wafting through the air. When we take vacations, we want to escape in geography. How fascinating would it be to escape in time, much like Woody Allen’s “Midnight in Paris”! Until the day we unravel the mysteries of the space-time continuum, I choose my own form of escape into that world, through the works of Italy’s scion of Verismo – Antonio Mancini.